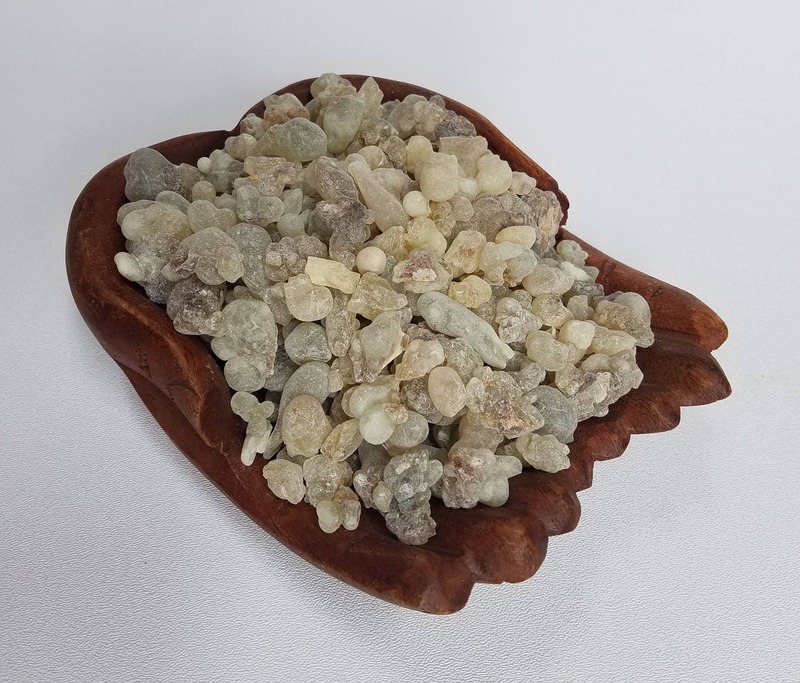 1/2-4 oz Royal Green Hojari Frankincense, large tears, Boswellia sacra resin sustainably wild harvested in the Samhan mountains of Oman. With the rich fresh scent of a light and bright resin, lemony piney, medicinal in the best way, earthy sweet with a little spicy. This Royal Hojari is sure to please you nose and mind. 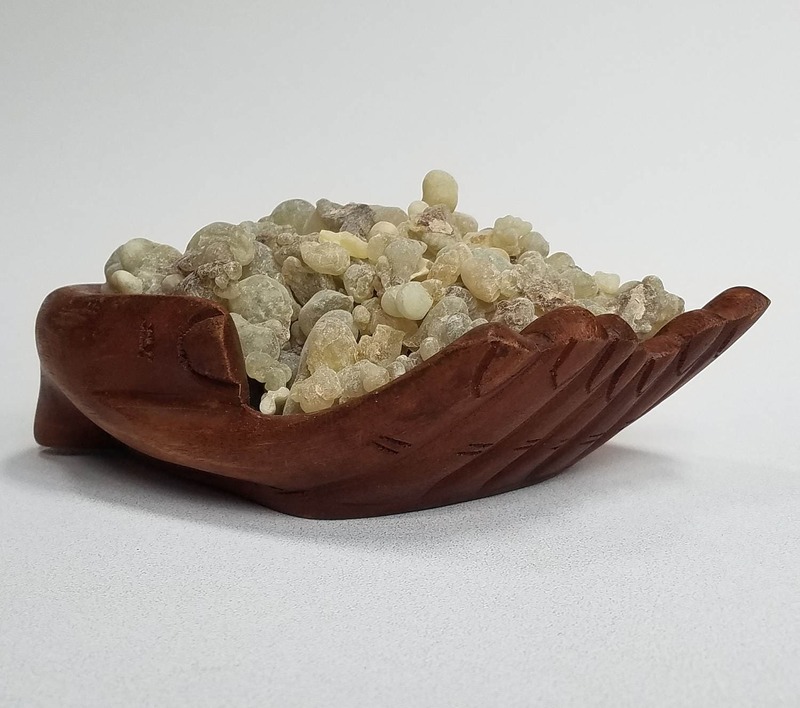 The smoke is extremely fragrant and purifying, it physically cleanses the air by attaching to dust particles and making them fall out of suspension, as well as energetically cleansing an area, leaving the space and yourself feeling calm and relaxed. Studies also suggest that the anti bacterial properties of the aromatic compounds go to work when you smudge your space, lowering airborne bacteria counts. 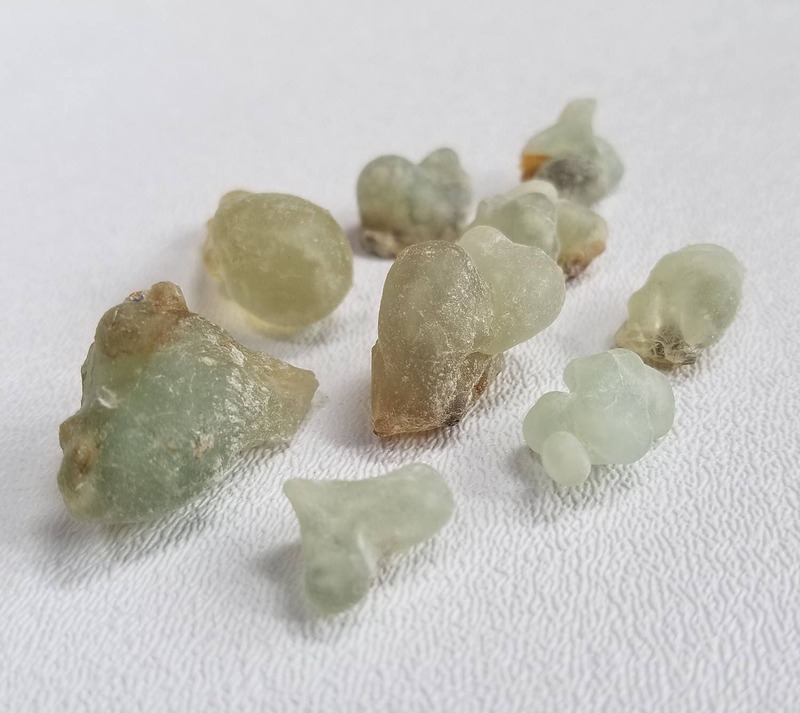 From trees in the north of the Samhan mountains of Oman, comes this large tear, royal green hojari grade of Frankincense. The highest grade in the world, emanating from the Boswellia sacra tree, it is one of the finest natural scents in existence. Royal Hojari also has the most oils of all the grades of Frankincense, averaging 8.5%. Royal Hojari is also said to be the same Frankincense brought by the magi to celebrate the birth of Jesus, along with Myrrh and Gold. Frankincense has been traded for over 5000 years, and is one of many treasured incense of antiquity. 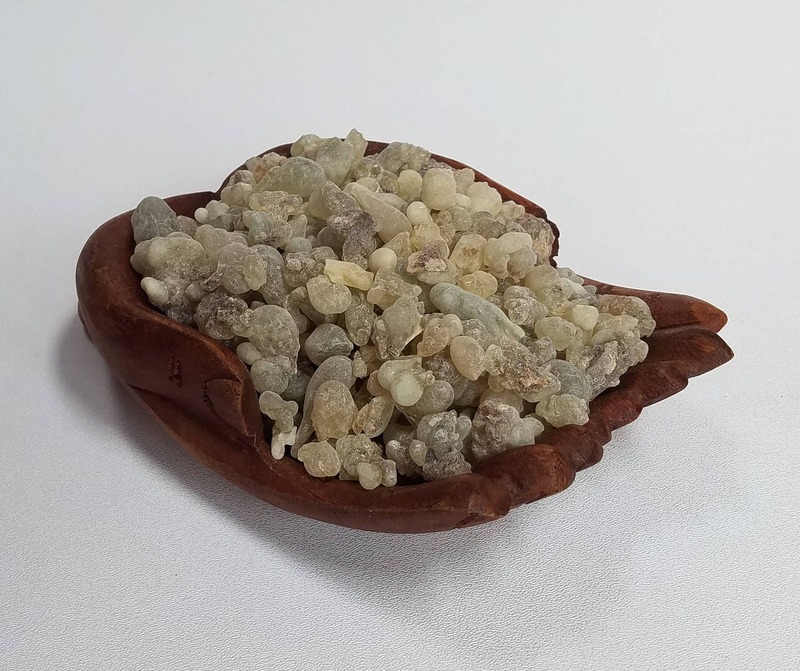 Frankincense is edible and can be chewed as gum, it's a bit stickier at first, and a little bitter at first, but great for oral health, and has a very long lasting flavor. It's made up of 30-36% water soluble gum, so you do actually absorb some of it. The majority of frankincense is made up of resin, which is alcohol and oil soluble, but not water soluble. It's in this resin where the famed boswellic acids are, although their molecular weight is too high to go into the essential oil. Frankincense is also known as Hojari, Luban, Hoojri, Olibanum, לבונה, and al-lubān.